A felon is a subcutaneous pyogenic infection of the pulp space of the distal finger or thumb. Staphylococcus aureus is the most common pathogen. The septa of the finger pad produce multiple individual compartments and confine the infection under pressure. This results in a red, tense, and markedly painful distal pulp space. 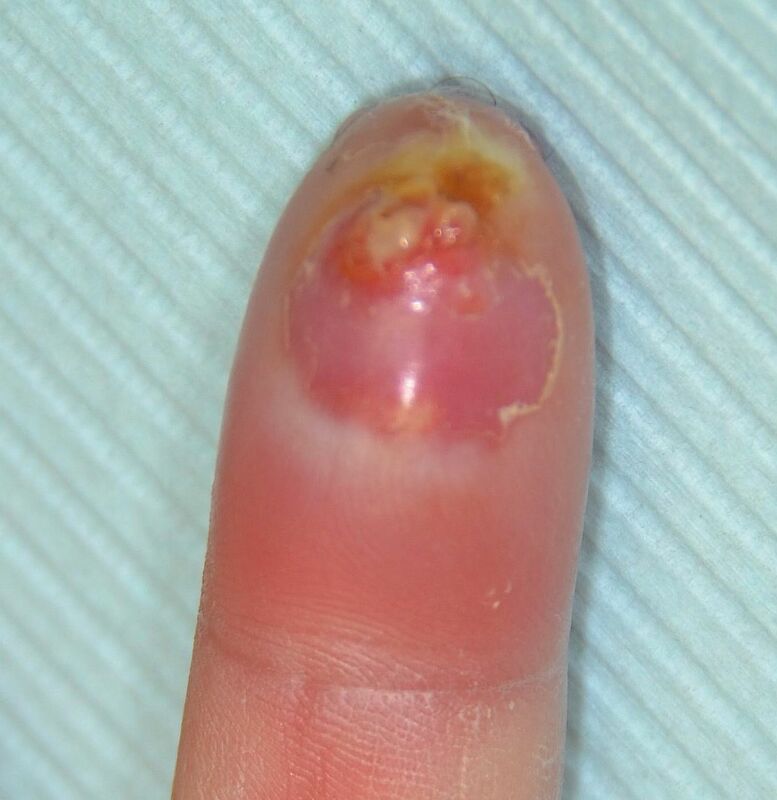 Infection typically begins with minor trauma to the dermis overlying the finger pad. Classic treatment of felons emphasized the need for early and complete incision through the septa via fishmouth incisions to provide adequate drainage and to relieve pressure.